New collection! 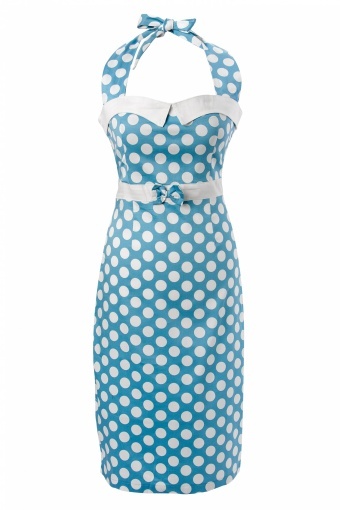 50s Stella Sweetheart pencil dress Baby Blue polka dot from Collectif. 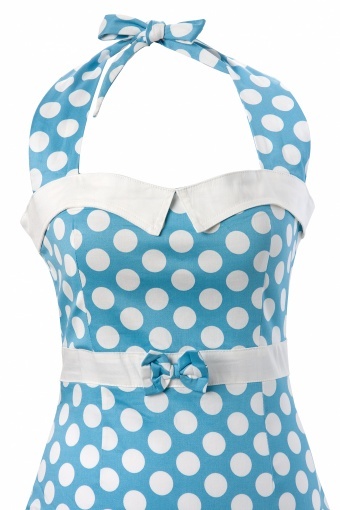 An all time favourite this hot little baby blue polka dot number! You won't be able to resist the slimming pencil skirt, halter neckline and cute details. 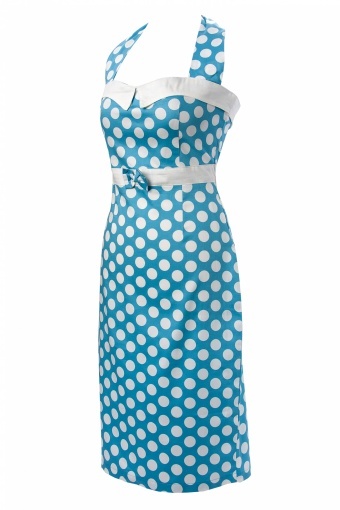 The stretch cotton fabric simultaneously holds you in, while showing off your curves! This Stella style is a bestseller and it comes back every collection in another print. However Collectif tuned it up and made it even better putting the halter straps more sideways and from wide to narrow shaped. This gives it more class and is very flattering for armpit 'bumps'. The waistband is less highly placed so that each cupsize fits nicely in here. The cute little bow is the cherry on the cake.